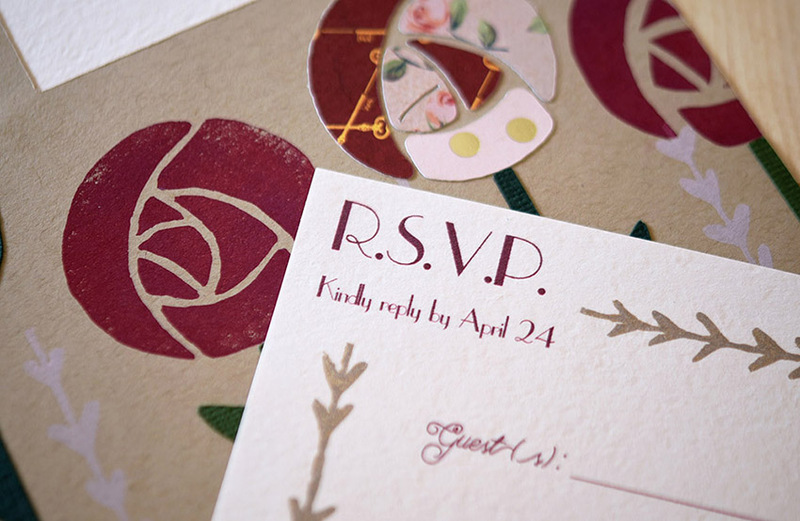 Inspiration for this enchanting invitation set came both from the aesthetic of the 1920's Art Deco movement, and from the inherent romance of rose gardens. 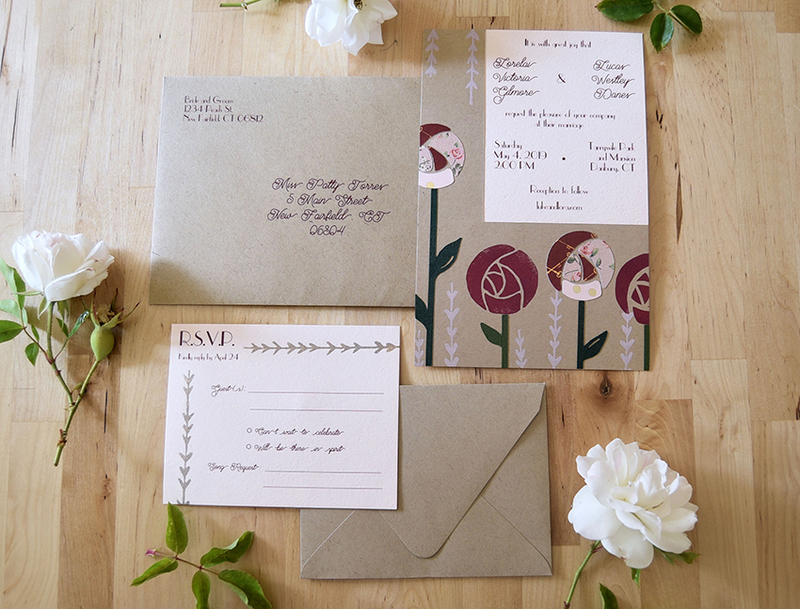 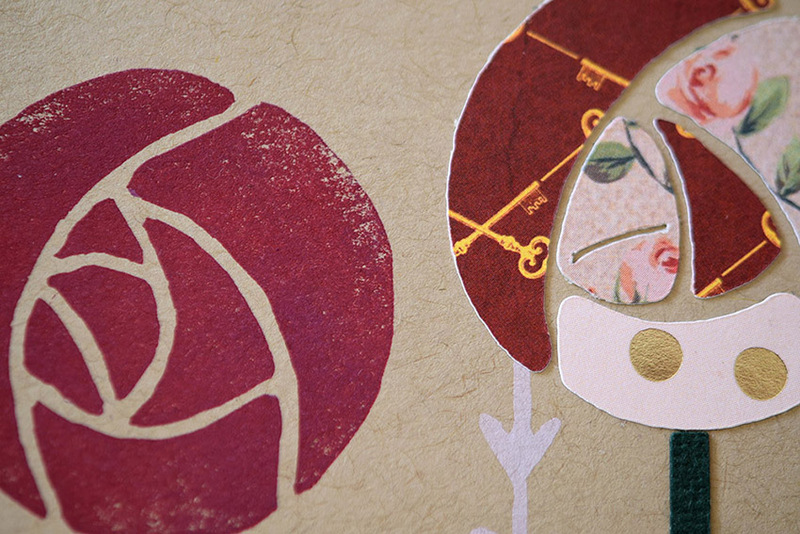 This design features a speckled paper-bag background with stylized roses in varying shades of Bordeaux and blush pink. 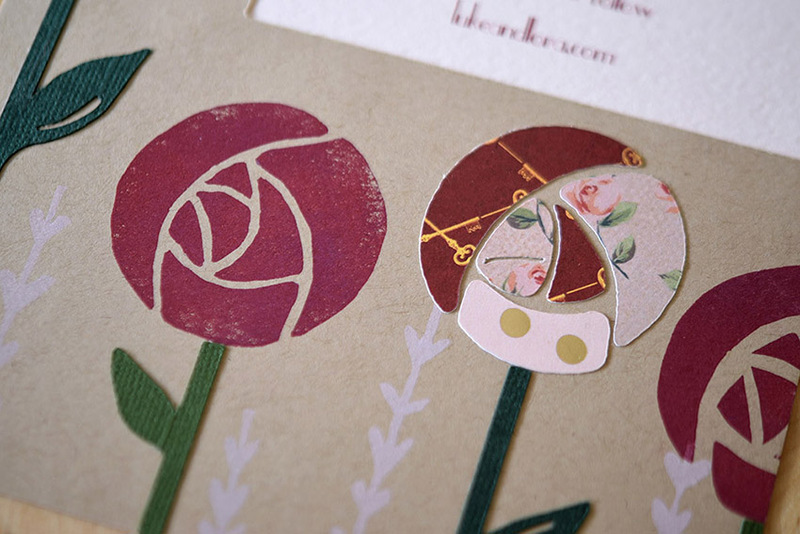 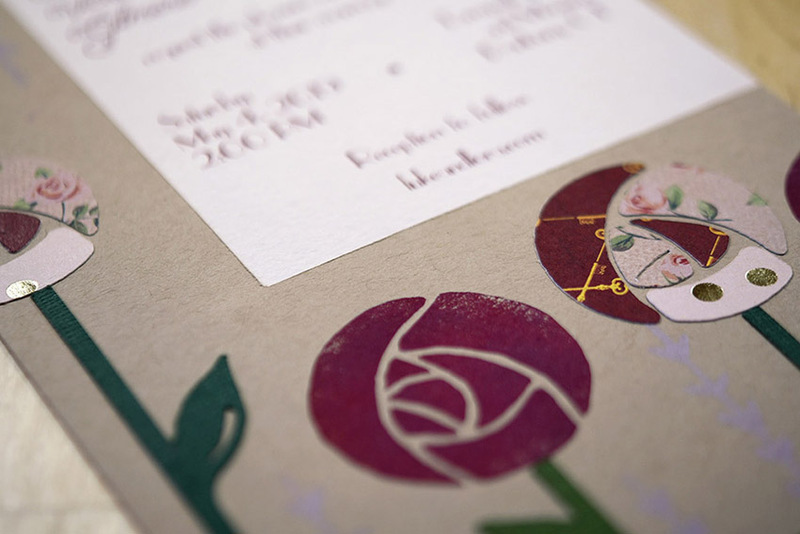 Tasteful and sweet, this invitation is a great fit for an event set in a garden or park.